It is really encouraging to see kids who study in the mountains endeavor to go to school. That kind of determination really motivates me. To mark our fifth anniversary, we organized an outreach program, which to date is our biggest in terms of the number of beneficiaries. For ten days, together with fellow volunteers, we traversed the mountains of Kibungan in Benguet to deliver books and school supplies to students in this mountainous municipality. Kibungan is a fourth class municipality in the landlocked province of Benguet in the Cordillera Administrative Region. With the help of Ms. Bren Siadto, we plotted out an itinerary that would take us to nine schools in ten days, to personally deliver the goods we solicited from family, friends, and colleagues in Manila. We listed down the number of beneficiaries to close to a thousand students, which was very massive considering our resources available but we nonetheless worked on this number, as we know God will always provide. So, He did. One of the volunteers, Mr. Jojo Palad, suggested recycling old tarpaulin materials used for billboards and other promotional materials to backpacks. Immediately, we posted online our request for old tarps and materials started pouring in enough for the students on our list. We filled those backpacks with school supplies and we were also able to gather textbooks, other reference materials, storybooks and toys to distribute. The very first school on our list was Polis Barrio School, located in Sitio Polis, Barangay Poblacion. 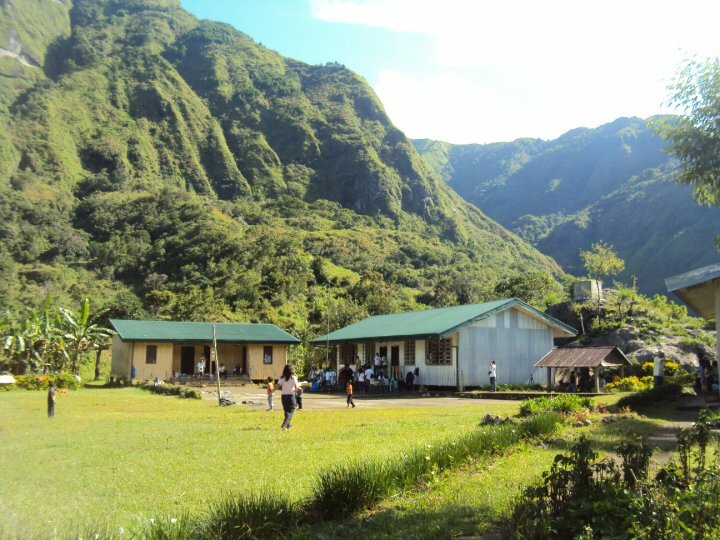 We first visited this school two years ago and we were awed by the splendor of the surrounding landscapes, the quaintness of the community and the gentleness of the people. We vowed then we would come back. The journey to Polis took us four hours on foot from the Municipal Hall of Kibungan, Benguet. It was my third time traversing this route and it was still exciting for me, especially with the new blooms that lined the trails. It was almost nightfall when we arrived at the site. The teachers and the parents prepared for us a sumptuous dinner to partake, which was really kind considering how meager their resources are. The following day, a short program was prepared by the students, which included our distribution of gifts and the traditional talak dance. One of the cherished rewards in conducting this type of activities is being able to experience the culture of the people who live in the mountains, which not everyone is fortunate to see. For the next six days, we were hopping from one school to another, distributing backpacks and watching little faces light up when they receive their new bags and see what's inside. We visited Napsong Barrio School, Barangay Madaymen; Gasal Barrio School, Barangay Lubo; Lubo Elementary School, Barangay Lubo; Ewa-Bokes Elementary School; Tonquey-Nalusbo Primary School, Barangay Madaymen; Tabbac Primary School, Barangay Palina and Legleg Elementary School, Barangay Palina. Though these schools got a lot to boast in terms of sceneries, it lacked a lot where it mattered, which is school materials. For Polis Barrio School, Napsong Barrio School, Gasal Barrio School and Legleg Elementary School, another problem is electricity. Teachers trek hours to neighboring communities just go their cellphones charged, which is vital for their communications with their families. Good thing, friends from Aduana Mountaineers, Outdoor Addicts, Sagada Environmental Guides Association and Adtel donated solar panels through our group. Aside from that, we also got used to bathing in freezing cold waters and the deafening silence of the mountains. Cooking our meals and washing our clothes became our bonding activities, due to lack of other forms of entertainment. But, what we remember most is how we were pampered by the parents who sent us freshly harvested vegetables every day. On our eighth day, having compressed to one day our itinerary for our fifth and sixth days, we were able to squeeze in a hike in one of Kibungan, Benguet's popular climbing destination, Mt. Kilkili. It was a short hike up the mountain but the view is magnificent. 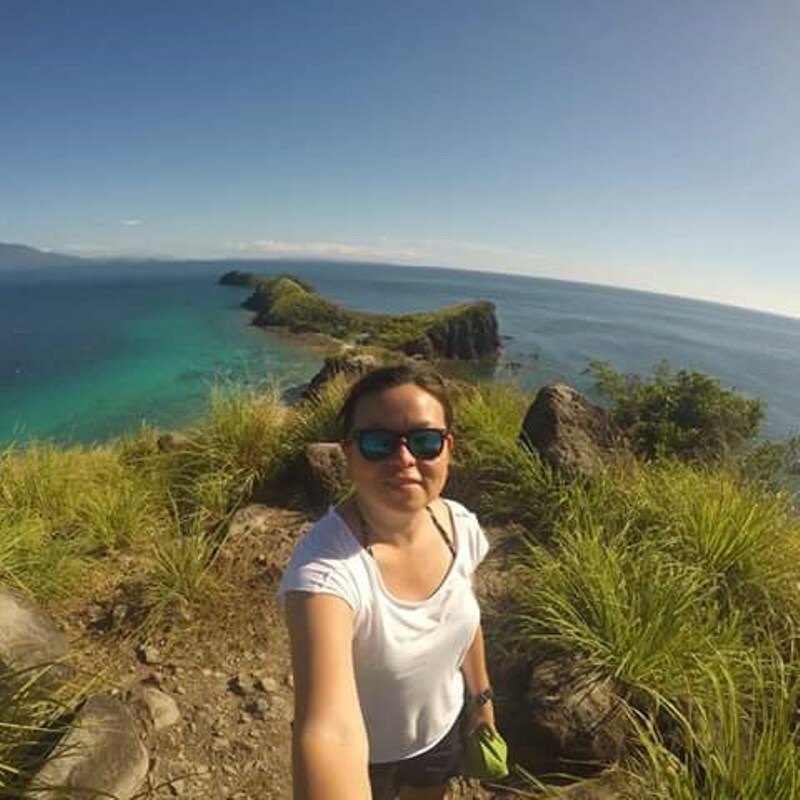 From the summit, we could trace the trail that led us to Legleg Elementary School, Palina Rice Terraces and the popular peaks of neighboring town of Bacun, another mountaineering destination. At the summit's outcrops, which what makes the mountain unique, we spent time taking photos and updating Facebook statuses. Yes, cell phone reception was good up there. A much bigger group of volunteers arrived on the eighth day. We reserved this day for an outreach at Palina Elementary School. The volunteers were delayed a bit due to a flat tire and a minor road accident, but we managed to keep the children's enthusiasm up, who started arriving as early as 7AM on the school grounds. We asked the students to sing, dance and play games with us and they eagerly did. As soon as the volunteers arrived, led by our designated expedition leader Ms. Ailene Mae Leal, we started distributing their lunch, which was cooked with the assistance of some barangay officials and parents. After lunch, festivities began with more games and the much-anticipated distribution of backpacks and other donations. Since the group is scheduled to sleep at the municipal hall, which is more than an hour away from Palina, we left after the program, but not without dancing Gangnam style first, at the request of the students. We spent the night sharing with the group the photos we took during our ten days of the trek in the mountains of Kibungan, distributing our certificate of appreciation for our cherished volunteers and of course, toasting to our five years of friendship.